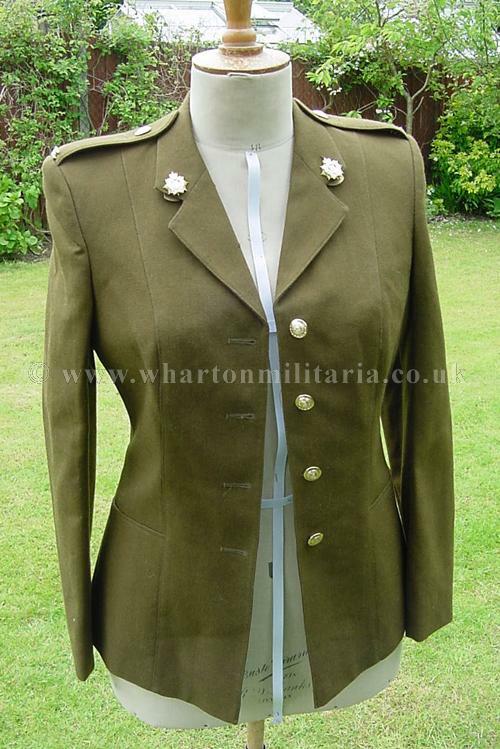 A service dress tunic for a female member of the Royal Logistic Corps. 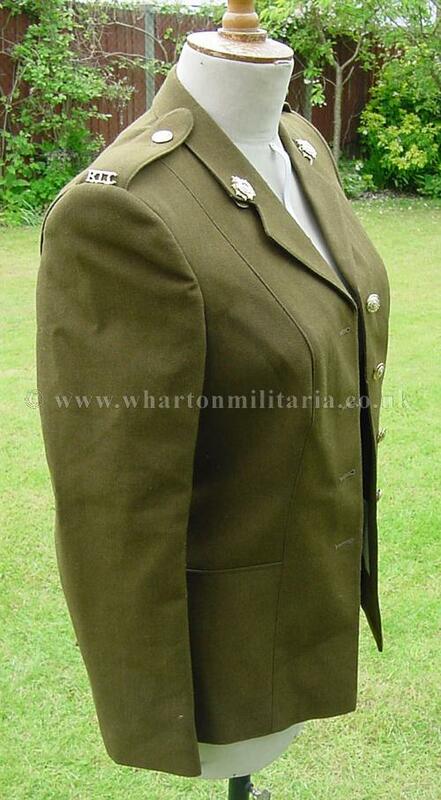 Tunic basically in unworn excellent condition, no marks or damage still retaining its correct insignia. 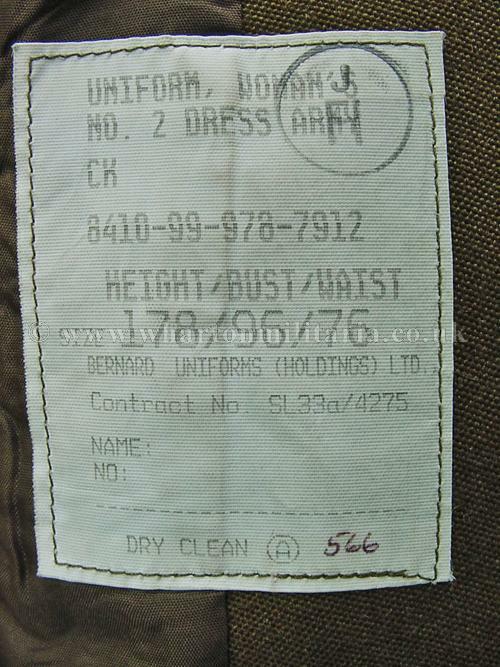 Tunic measurements indicated on label, though measuring are approx 17 inches (43cm) across the shoulders, 29 half inches (74cms) drop from neck to hem and arm length from shoulder to cuff is 26 inches (66cms). 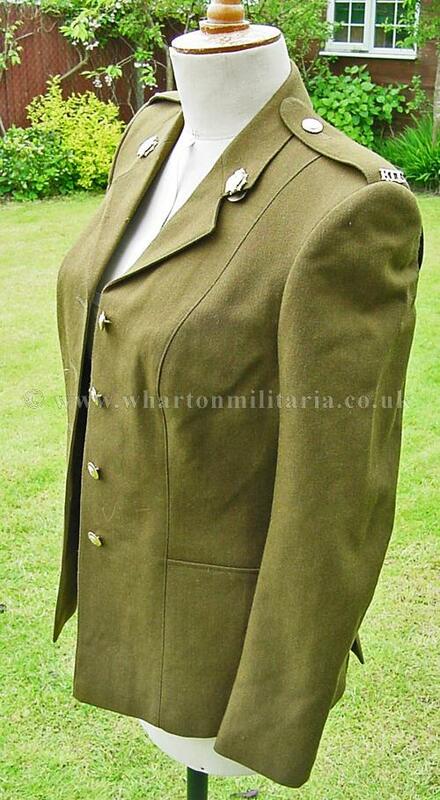 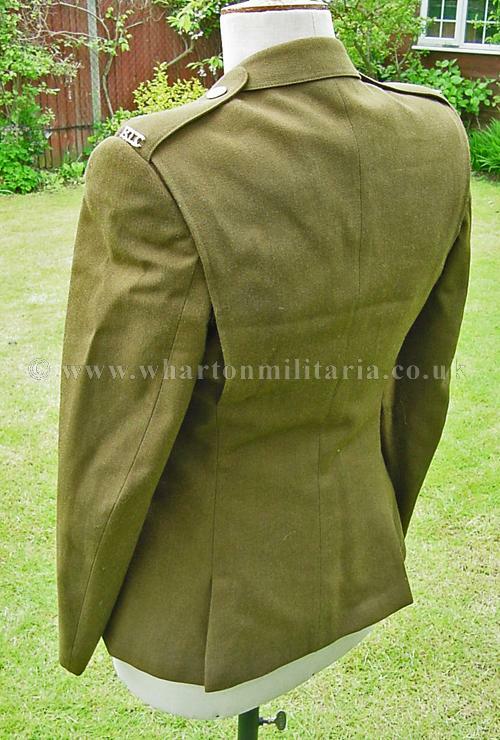 A nice service dress tunic in excellent condition.